A playwright, also known as a dramatist, is a person who writes plays. The earliest playwrights in Western literature with surviving works are the Ancient Greeks. These early plays were written for annual Athenian competitions among playwrights held around the 5th century BC. Such notables as Aeschylus, Sophocles, Euripides, and Aristophanes established forms still relied on by their modern counterparts. For the ancient Greeks, playwriting involved poïesis, "the act of making". This is the source of the English word poet. In the 4th century BCE, Aristotle wrote his Poetics, the first play-writing manual. In this famous text, Aristotle established the principle of action or praxis as the basis for all drama. He then included a hierarchy of elements for the drama beginning with plot (μύθος mythos), character (έθος ethos), thought (dianoia), diction (lexis), music (melodia), and spectacle (lusis). The ends of drama were plot, character, and thought, the means of drama were language and music, and the manner of presentation a spectacle. Since the myths, upon which Greek tragedy were based, were widely known, plot had to do with the arrangement and selection of existing material. Character was equated with choice as rather than psychology, so that character was determined by action. In tragedy, the notion of ethical choice determined the character of the individual. Thought had more to do and "the imitation of an action that is serious", and so forth, brought with it the concept of mimesis (from real life). Thus, he developed his notion of hamartia, or tragic flaw, an error in judgment by the main character or protagonist. It provides the basis for the "conflict-driven" play, a term still held as the sine qua non of dramaturgy. The Poetics, while very brief and highly condensed, is still studied today. Perhaps the most Aristotelian of contemporary playwrights is David Mamet, who embraces the idea of character as "agent of the action", and emphasizes causality in the structure of his plays. His recently revived, Speed-the-Plow, is quintessentially Aristotelian, in that it both observes the unities (with exception of Act I's change in place) and builds its plot through a causal stream of discoveries and reversals. The Italian Renaissance brought about a stricter interpretation of Aristotle, as this long-lost work came to light in the late 15th century. The neoclassical ideal, which was to reach its apogee in France during the 17th century, dwelled upon the unities, of action, place, and time. This meant that the playwright had to construct the play so that its "virtual" time would not exceed 24 hours, that it would be restricted to a single setting, and that there would be no subplots. Other terms, such as verisimilitude and decorum, circumscribed the subject matter significantly. For example, verisimilitude limits of the unities. Decorum fitted proper protocols for behavior and language on stage. In France, contained too many events and actions, thus, violating the 24-hour restriction of the unity of time. 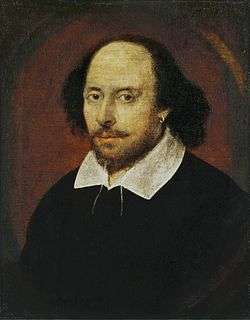 Neoclassicism never had as much traction in England, and Shakespeare's plays are directly opposed to these models, while in Italy, improvised and bawdy commedia dell'arte and opera were more popular forms. In England, after the Interregnum, and restoration of the monarchy in 1660, there was a move toward neoclassical dramaturgy. One structural unit that is still useful to playwrights today, is the "French scene", which is a scene in a play where the beginning and end are marked by a change in the makeup of the group of characters onstage, rather than by the lights going up or down or the set being changed. Popularized in the nineteenth century by the French playwrights Eugene Scribe and Victorien Sardou, and perhaps the most schematic of all formats, the "well-made play" relies on a series of coincidences (for better or worse) that determined the action. This plot driven format is often reliant on a prop device, such as a glass of water, or letter that reveals some secret information. In most cases, the character receiving the secret information misinterprets its contents, thus setting off a chain of events. Well-made plays are thus motivated by various plot devices which lead to "discoveries" and "reversals of action," rather than being character motivated. Henrik Ibsen's A Doll's House is an example of a well-made structure (built around the discovery of Krogstad's letter) that began to integrate a more realistic approach to character. Ironically, the character Nora's leaving is as much motivated by "the letter" and disclosure of a "past secret" as it is by her own determination to strike out on her own. The well-made play infiltrated other forms of writing and is still seen in popular formats such as the mystery, or "whodunit." Full-length play: Generally, two or three acts with an act break (intermission or interval) that marks some kind of scene change or time shift. Usually these acts are divided into scenes, which are also defined by shifts in time and place. This type of structure is called episodic. Episodic plays often contain scene changes and require careful attention to transitions, so as to maintain entails a more causal relationship between units and is often defined by the unity of time, place, and/or action. Short play: A more popular format recently, the short play does not have an intermission and generally runs over an hour, but less than an hour-and-a-half. One-act play: A useful form for experimental work (the absurdists made the form popular) with less reliance on character development and arc. Generally, these remain under an hour in length. In the US the 10-minute play has been popularized over the past 20 years, and with beginning playwrights since the format requires rigor. Such a format can be processed or produced without onerous technical requirements. Contemporary playwrights in the United States often do not reach the same level of fame or cultural importance as others did in the past. No longer the only outlet for serious drama or entertaining comedies, theatrical productions must use ticket sales as a source of income, has caused many of them to reduce the number of new works being produced. For example, Playwrights Horizons produced only six plays in the 2002-03 seasons, compared with thirty-one in 1973-74. As revivals and large-scale production musicals become the de rigueur of Broadway (and even Off-Broadway) productions, playwrights find it difficult to earn a living in the business, let alone achieve major successes. In an effort to develop new American voices in playwriting, a phenomenon known as new play development began to emerge in the early-to-mid-1980s, and continues through today. Many regional theatres have hired dramaturges and literary managers in an effort to showcase various festivals for new work, or bring in playwrights for residencies. Funding through national organizations, such as the National Endowment for the Arts and the Theatre Communications Group, encouraged the partnerships of professional theatre companies and emerging playwrights.and fast rule about this. New Dramatists and The Lark in New York, for example, will often have a "cold" reading of a script in an informal sitdown setting. A cold reading means that the actors haven't rehearsed the work, or may be seeing it for the first time, and usually, the technical requirements are minimal. Shenandoah and the O'Neill Festival offer summer retreats for playwrights to develop their work with directors and actors in a totally "devoted" setting. There has been a backlash over the past ten years with the formation of Playwriting Collectives like 13P and Clubbed Thumb who have gathered members together to produce, rather than develop, new works. This has been a reaction to the "developed to death" notion in which the play never gets produced, but goes through endless readings and critiques that after a certain point in New York go through some kind of assiduous development process, and rare is the play that shows up on a producer's desk that gains any traction. On Broadway, this has happened in the past year with Martin McDonagh's A Behanding in Spokane and Mamet's Race although these shows were packaged with stars (Christopher Walken in the former) and with playwrights who are well established in the profession. ↑ "Jonson, Ben, ''The Works of Ben Jonson'', Boston: Phillips, Sampson, and Co., 1853. page 788". Luminarium.org. 2003-08-10. Retrieved 2012-04-23. ↑ George, Kathleen (1994) Playwriting: The First Workshop, Focal Press, ISBN 978-0-240-80190-2, p. 154. ↑ See Eugene Scribe's play A Glass of Water. ↑ Alexis Soloski (2003-05-20). "Alexis Soloski, "The Plays What They Wrote: The Best Scripts Not Yet Mounted on a New York Stage", ''The Village Voice'', May 21 - 27, 2003". Villagevoice.com. Retrieved 2012-04-23.